If you are having any service issues with your Air Conditioning, Heating, Walk-In Cooler, Walk-In Freezer, Yogurt Machine, Ice Maker machine or appliance in your business or at your home, you have come to the right place. We are a family owned and operated business that has been repairing AC_Heating System (including Heat pump, Hydronic heat) and all major appliances for years. We would be glad to set up a time that is convenient around your schedule to serve you. We have two offices, one in Raleigh and one in Chapel Hill, to fulfill your needs around Triangle Area promptly. A reputation brought forth by satisfaction from good services with low cost to develop a long term relationship with our valued customers. We offer a flat rate travel charge to any location. Nights and weekends also come with no additional service fees. 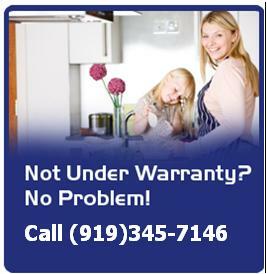 We will be really happy to show you how I can save you some money on your Heat and Air Conditioner, and other appliance! Most appliances has capacitor. Capacitor is an electrical device used to support a motor to work effectively. Capacitor always holds an amount of electrical energy, and ready to release power at a very high voltage (over 2000 volts), making lost the life without knowledge of it.